LONDON: The OutCast Agency has acquired London-based PR firm Sepia Communications, according to a LinkedIn post by the leaders of the U.K.-headquartered shop on Monday afternoon. The firm will be renamed Sepia | An OutCcast Company. The deal will create opportunities for Sepia’s clients and employees, according to the LinkedIn post from Sepia cofounders Josephine Salm and Eliza Dabney. "We were not at all looking to sell the company when OutCast’s CEO, Alex Constantinople, approached us, but her enthusiasm, conviction, and vision were both inspiring and contagious. More importantly, we’ve never encountered another firm or leadership team that more closely aligns with our core values, mission, and focus on companies charting real change across industries," the founders said in the post. "After many thoughtful conversations, it was clear that they were the perfect partner for this next chapter." The deal will allow OutCast to expand outside the U.S. for the first time while OutCast’s Stateside presence creates opportunities for Sepia clients, Salm and Dabney said. Prior to the deal, Outcast had offices in San Francisco, New York, Los Angeles, Seattle, and Washington D.C., according to the firm’s website. Representatives from neither Sepia nor OutCast could be reached for additional comment. 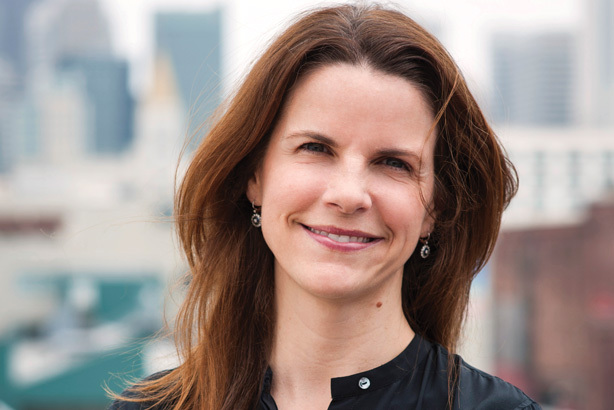 OutCast, part of holding company Next Fifteen, was cofounded in 1997 by Caryn Marooney, who left in 2011 to become VP of technology communications at Facebook. The firm represents high-profile technology clients including Amazon, Airbnb, Box, Facebook, GE, Lyft, Patagonia, and Spotify, according to Next Fifteen website.